I will be honest. I really don’t like the New Year. Every December it feels like something quite dramatically goes wrong for me on New Year’s Eve, and things crash for the coldest, and what I always feel is the most miserable time of the year – January. So this year I set out on a mission to make things different; to let go of my past, and embrace the present. A wonderful New Year’s Eve was spent with some very special friends (thank you Marie, Eric and Nikki!) and all was going to plan. Happynesshub positive mindset – tick. But, as is often the case, January 1st kicked in and life seemed to throw those curveballs my way… amongst other things, Mum’s health deteriorated, and I felt terribly sad. Old feelings emerged, and I found myself feeling, ‘here we go again’. Yet, only a few days later, here I am, toolkit engaged, and I feel stronger already, positive and hopeful. The sadness remains of course, that is human, but the outlook is different from previous years. Well I think there are many reasons that I’d like to share with you. First, is the foundation of all the work I did when life was less challenging. As much of the research out there shows, if you bolster yourself with the 21-Day tools we so often talk about (positive focus, present moment awareness, gratitude, meditation to name a few), then when tougher times hit, you are prepared and ready. You have an emotional toolkit to support you. For me though, I think much of the past weeks have been about practicing acceptance. I’ve talked about this before; how hard I find it since my perfectionist personality always wants to ‘make things right’. What the past years have taught me is that this isn’t always possible. It’s good to try, it’s good to want to make a difference, but at times it is simply that I need to learn to accept a situation. The question is though how do we cultivate ways to truly embrace things that are thrown our way, that at the time we really wish were not?! 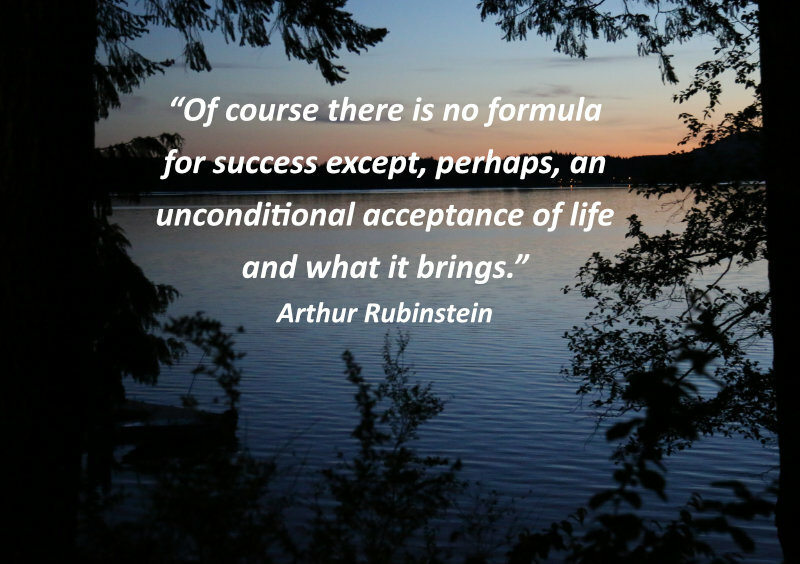 I believe that acceptance is a choice, a conscious decision we make. It can be very hard, but there are certain times and circumstances where we just need to do it. And it is very different from inaction. For example, I can accept my Mum is ill, but I can still book scans, sort health issues, go and visit her and try to laugh when we are together. Acceptance, practical action, and positive focus. Or I can do what I have often done in the past and resist, fight, repeatedly ask ‘why?’ When I look back this has done nothing but unsettle me, create obsessive turbulent thoughts and if anything led to me having such negativity that not only do I feel bad, those around me do too, and I then don’t even take as positive actions as I might. So, I decided this week, although not one for New Year’s resolutions (having said that I did give up chocolate for a whole year when I was younger! ), acceptance is now being added to my list. Alongside learning the piano and riding my bike! Happy New Year to you Hubbers… whatever your resolutions may be.